On Tuesday, May 23, 2017, Boys & Girls Clubs of Greater Dallas (BGCD) hosted its 9th Annual TOPPs (Threshold of Opportunities) Celebration, co-chaired by Michele Wheller, COO of Jackson-Shaw, and George S. Watson, owner of Steelcreek Management, LLC. Karen and Tom Falk, Chairman and CEO of Kimberly-Clark Corporation, served as the Honorary Chairs. TOPPs is a special dinner recognizing BGCD’s Youth of the Year and graduating seniors, who participated in BGCD’s college-ready program, Collegiate STEPS. This event took place at the Frontiers of Flight Museum. At the TOPPs Celebration, Boys & Girls Clubs of Greater Dallas awarded over $400,000 in scholarships to dozens of deserving youth. With many of the teens coming from economically- disadvantaged communities, BGCD aimed to relieve some of the financial burden weighing down on the students and their families. At the event, Cindy Leija, BGCD’s 2017 Youth of the Year, shared her story of overcoming trials and tribulations in her childhood, and how Boys & Girls Club played a vital role in shaping her into the ambitious and goal-driven young lady she is today. Guests also heard from BGCD alumna, Geolaina Copeland. Cory Smith, NBC 5 anchor, was the evening’s emcee and made sure the event flowed seamlessly. Though only select students received scholarships, BGCD ensured no student left empty-handed. 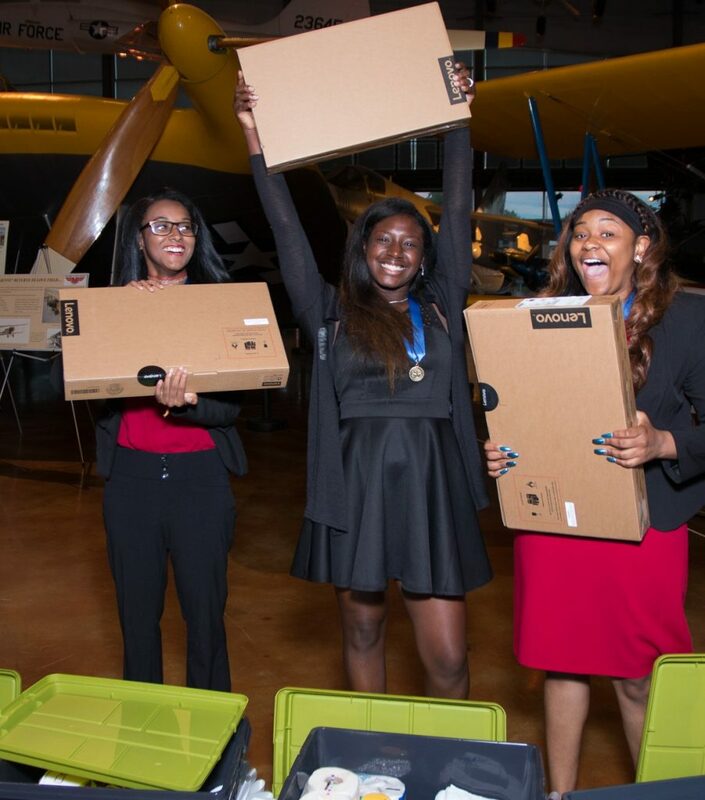 Approximately 80 graduating seniors received college-care packages filled with dorm-room necessities, luggage to adequately pack for their move to their new on-campus home, and laptop computers! Boys & Girls Clubs of Greater Dallas could not be more thankful for the amazing support we received for our 9th Annual TOPPs Celebration. Through sponsorship and donations we were able to exceed our fundraising goal for TOPPs and made it one for the records! We are excited to announce 2017 TOPPs Celebration had a net of over $235,000! This doesn’t even include the amount of funds raised for scholarships. Thanks to our scholarship sponsors, BGCD was able to award a record amount of scholarships to our deserving youth! By supporting this event, you are investing in more tassels being moved from the left to the right in the years to come, more first-generation college students, and brighter futures for our youth. Proceeds from this event provide funding for BGCD’s Academic Success programs, such as Collegiate STEPS and diplomas–degrees. Thank you to our 2017 TOPPs Sponsors! Check out photos from TOPPs here.